The Hindu festival of Ganesh Chaturthi begins on September 13 this year and extend for ten days ending on September 23. Ganesh Chaturthi is celebrated in the honor of Lord Ganesha’s birthday. The festival is celebrated with great pomp and fervor in most parts of the country. The 10-day Ganeshotsav is celebrated with much fervour in the states of Maharashtra, Goa, Tamil Nadu and Karnataka. Ganesha who is the younger son of Lord Shiva and Goddess Parvati is known by 108 different names among devotees and in mythology. Ganpati, the God of good beginnings is prayed to on special occasions. On Ganesh Chaturthi, devotees bring idols of Ganpati home which is followed by special prayers. After ten days the idol is immersed in water while devotees seek blessings. Ganeshotsav or Vinayaka Chaturthi ends on the tenth day of bringing the idol home signifying his return to Mount Kailasha to his parents Goddess Parvati and Lord Shiva. 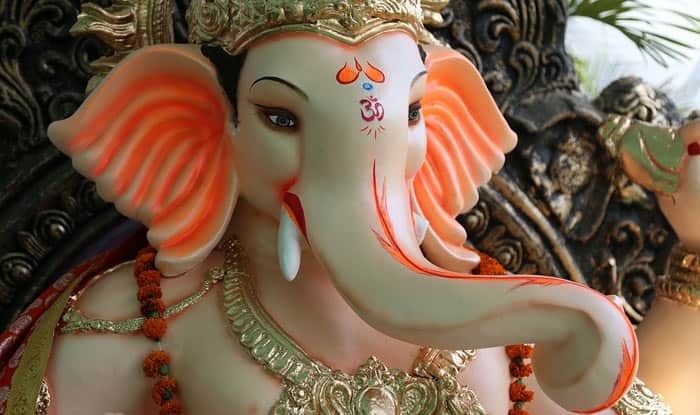 Ganesh Chaturthi was popularised during India’s freedom movement by leader Bal Gangadhar Tilak. He reinvented the festival in 1892 as a national festival ‘to bridge the gap between the Brahmins and the non-Brahmins.’ Tilak organised the festival as a social and religious one. The festival became a breeding ground for people of all caste and communities to meet while political gatherings were banned by the British. According to Historians, Ganesh Chaturthi celebrations were started by Chatrapati Shivaji Maharaja, to promote culture and nationalism. Ganesh Chaturthi is celebrated mostly in the states of Maharashtra, Goa, Tamil Nadu and Kerala. While some states do not observe the day on a large-scale, Maharashtra witnesses huge celebrations. They are two different stories about Ganesha’s birth. According to one story, Goddess Parvati made Ganesh using the dirt of her body when having a bath and made him guard the door while bathing. Ganesha did not even let Shiva enter the house when he returned as he did not know him. Filled with rage, Shiva severed the head of Ganesha in a fight. However, Parvati was furious on seeing what had happened in her absence. Shiva then promised to bring Ganesha back to life and went in looking for a head. He could only find an elephant’s head and fixed it on Shiva’s head making him alive again. While another legend says that Shiva and Parvati created Ganesha at the request of the Devas to help them. While some devotees bring the Ganpati idol home, pandals are also created to receive Ganpati after which the music and dance begin. People also make idols out of clay at home trying to be eco-friendly. Various special prayers and mantras are chanted on these days to invoke the Lord and receive blessings. These ten days, chants of ‘Ganpati Bappa Morya’ will fill the streets. Modak is the primary sweet dish made on all the ten days of the festival. The sweet is offered to the God and also distributed among devotees.